Ensuring your clothes fit well is the most important part of looking and feeling comfortable in them. Whether it's a whole suit or just a shirt, the confidence factor that comes with knowing it fits your body shape just right should not be underestimated. Shopping for menswear is not as easy as it looks and people who want to have comfort in their own clothing will usually go for pieces that are bespoke or made-to-measure, and while these terms are similar, it's important to note that they don't mean the same thing. 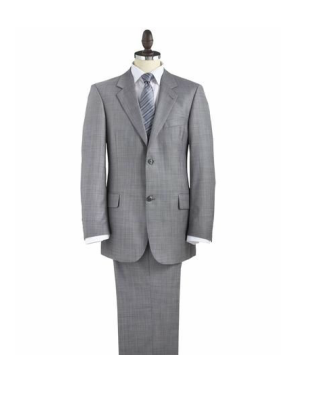 A made-to-measure item of clothing, such as a tailored suit, is sewn from a standardised base pattern that takes into account an individual customer's size and body shape. The tailor will choose a base pattern that most closely fits the customer's measurements and alters them where necessary, creating clothing that fits much better than the standard ready-to-wear items found in high street retailers. Meanwhile, bespoke tailoring offers a much higher degree of personalisation. Rather than using a base template, a bespoke suit is created entirely from scratch, producing a unique garment that fits exclusively to the customer's body. Additionally, bespoke clothing is almost entirely hand-stitched rather than machine-made, typically using a much higher quality of fabrics and manufacturing standards compared to made-to-measure. Bespoke garments take considerably longer to make and cost more than their made-to-measure counterparts, but it's the best option if you're seeking high-quality clothing that is unique to you.